No job is too big or too small. Whether it is an emergency patching of a roof or a full exterior upgrade, our dedicated team of project managers and skilled tradespeople are available for your any occasion. The bottom line is we can can handle any of your roofing or exterior needs! There is no up front risk in asking for an estimate. We also fully guarantee you will be satisfied at all stages of your roofing and exteriors project. 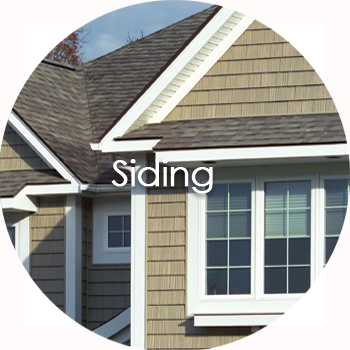 All roofing materials come with standard warranties. Please ask us about our warranty programs. Contact us at any time and a fully trained project manager and estimator will be happy to meet you at your home.